Selling your home is a numbers game; that’s why making sure your home appeals to as many buyers as possible is the goal of home sale preparation. The more buyers your home appeals to, the more buyers who will tour, and the more buyers who tour, the more buyers who will make an offer. Clean: Make sure your home sparkles! You need to do both the surface cleaning and the deep cleaning. This can be a massive undertaking that you can either do yourself or hire a professional to do. Whatever route your choose, don’t leave things undone. Make sure you hit: the windows, the carpets, the cobwebs in those hard to reach areas that catch the light, the appliances, the floors, the baseboards, the light fixtures, the shower and tub, the garage, the woodwork, the air vents, the grout, etc… Do as much as you can before your home goes on the market and then while your home is on the market, continue to deep clean. 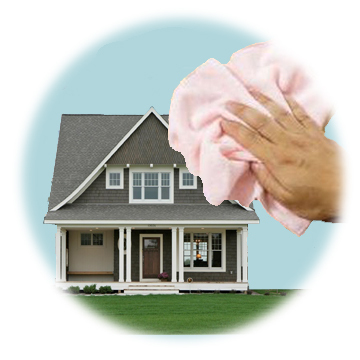 Making sure your home is always spotless will be a huge asset in getting offers. Buyers want know that they are purchasing a home that has been cared for and loved. This will help them relax and feel confident in their decision to make your home “The One”. Declutter: Open up your closets and cabinets and clear out items you no longer use or want! The more organized and spacious your storage areas are the more desirable your home will be to buyers. De-cluttered organized storage areas say, “There is plenty of room for all of your belongings”, and “We are organized and take care of our home so you don’t need to worry.” Clear off kitchen counters and bathroom vanities, pack up extra appliances, dishware, and knickknacks. Give unused items to charity or hold a yard sale. Organizing in this way will make your eventual move that much easier. Modernize/Neutralize: Before putting your home on the market take a look online and in person at other homes that are currently for sale. Notice the décor and the colors that appeal to you. Consider bringing some of those same ideas to your home after consulting with your real estate professional about which choices make sense for you with your time frame and budget. In order to make your home appeal to the most buyers you may need to let go of your own personal style decisions. Put away your collection of your child’s art work, pack up family photos. Painting the interior of your home a light neutral color will instantly add a freshness and the illusion of more space. Consider removing heavy window treatments and either leaving windows bare or choosing light simple drapes. Updating bathrooms can be done by replacing mirrors with new framed ones, updating lighting can be done easily by choosing new fixtures that will match up with existing wiring. Consider painting cabinets and updating hardware rather than replacing the vanity. Kitchens can also be refreshed this way with new hardware, paint, and lighting. Enhance Curb Appeal: Getting buyers to drive to your home and then get out of their car and walk INTO your home is the goal of marketing! Do Not underestimate the importance of curb appeal. Stand in front of your home and notice the details, pretend you are a buyer driving up to your home for the very first time-what do you see? Look at all aspects of your home: the front yard, the side yard, and the back yard. Make sure the street numbers are visible and clean. How about the front door, is it in good condition? If not, give it a coat of paint or just clean it. Make sure the cobwebs are cleared and the entrance way is power washed. How about the fence is it in good condition? Does the gate latch properly? Are the garbage cans tucked neatly out of sight? What about your lighting at the front door and garage? Updating these can make a huge visual impact for a small investment. Trim back trees and bushes-make your outdoor space look like a barber freshly trimmed it! Add some color with fresh potted flowers and a new front door mat. Freshen the flower beds with dark mulch, clean the grill, add a bright rug and fresh pillows to an outdoor eating area. The visual of a clean, trimmed home gives the impression that the house requires very little maintenance-buyers approve! Stage: The International Association of Home Staging Professionals says 95% of staged homes sell in an average of 11 days or less and sell for 17% more. Coldwell Banker Real Estate Corporation found that staged homes spend half the time on the market that un-staged homes do and sell for more than 6% above the asking price. 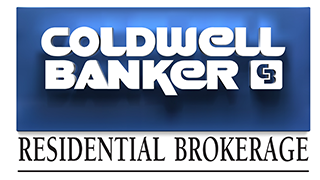 Work with you realtor and decide what is best for your situation. Some realtors include staging at no additional cost as part of their service (I do). Other relators will work with a stager and require the seller to cover the cost. Whatever the case, this is a crucial element to selling your home. Staging will make your home stand out from the competition and will highlight the best assets of your home while minimizing any problem areas. Sometimes it is necessary to remove all or most of a homeowner’s furnishings and bring in modern fresh décor. Other times adding a few new items is all that is needed. The stager will ask you to put away your collection of your child’s art work and any other unusual collections you may have. You will also need to take down and pack up all of your family photos. Remember, buyers want to see themselves,not you in the home they buy. The process of staging and living in a staged home can be hard for some buyers as there is usually an emotional tie to our homes and our style choices. It’s important to acknowledge this and not to be sensitive about the need to edit our personal style choices. 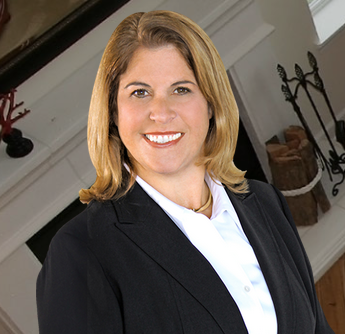 Listen to your real estate professional-she knows what buyers are looking for. Try to remember that the way you sell your home is completely different from the way you live in your home. Staging is like window dressing in a departments store. It tempts buyers to come in and look around and buy! Photograph: Attracting buyers to your home is the key to selling your home for the highest price. Most buyers find their new home on line and make the time to tour those that appeal most. Making sure your home shows well on line means you cannot skimp on photography. Everyone has a cell phone and can take pictures. You don’t want just any pictures of your house, you want to invite buyers to experience your home. You will be telling them the story of what their lives will look like in their new home! Make sure your real estate professional includes as many photos as allowed online. A professional real estate photographer will capture the essence of your home highlighting the best features and minimizing the least appealing. Let Go: Preparing your home for sale is a huge time and emotional investment. Making choices to modernize, declutter, and stage, all require you, the seller, to let go. When a home shows without the personal belongings and the homeowners’ personal style choices and personal memories front and center (this means no family photos displayed), it signals to the buyer that the sellers know the value of their home and are ready to sell to the most qualified buyer, for the highest price! Make your home available for buyers to see whenever they want. That means you must keep your home “show ready” all the time. Make sure your pets are contained, turn on all the lights, open the blinds and go! You must leave the house whenever a prospective buyer wants to tour your home; they want to picture themselves in your home, not you. If it’s possible, schedule a short vacation to coincide with the day your home goes on the multiple listing service (after all your hard work, you’ll be ready!) The more available your home is for showings, the more buyers will see it, and the more offers you will receive. If you follow these instructions, your next move will be to search for your new home!